The consignment came from the United States of America (USA). The Controller of the Command, Comptroller Bashar Yusuf told newsmen that the consignment included camouflage military face cap camouflage belt, a pair of hand gloves, a pair of shoes among other items concealed in two vehicles. 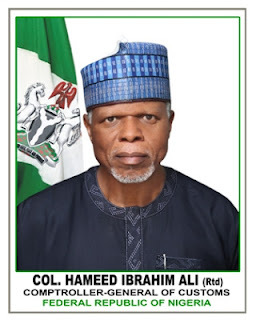 Yusuf said that the consignment and a suspect have been handed over to the Department of State Security Service (DSS).